This article is your total guide to selection and use of end mills, the most common type of cutter used by CNC Milling machines and CNC Routers. 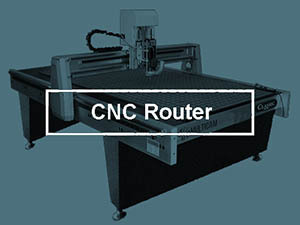 The CNC Router community has some specialized types that are discussed in our CNC Router Cutter Guide. 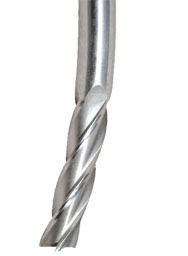 A typical end mill may be referred to as an “Upcut Spiral” by the CNC Router world. Other than small geometry changes to optimize for wood, end mills and upcut spirals are interchangeable. 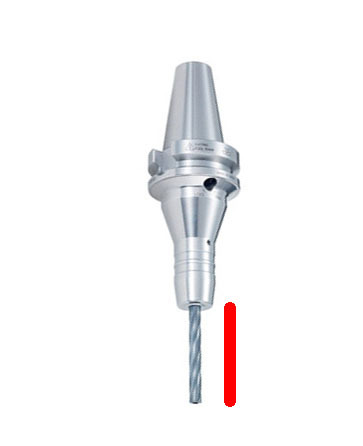 The more common spelling is “end mill”, but I often use “endmill” as well. The two are pretty interchangeable. 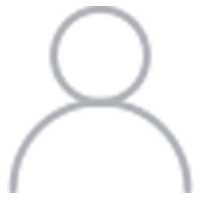 The first thing to explore is the material the endmills are made of, typically carbide or HSS, though there are a few more exotic alternatives such as powder metal. For a lot of production machine shops, the question of whether to use carbide endmills or HSS (high speed steel) seems silly. Carbide is always better, right? It turns out that it depends on the material to be cut as well as on the machine’s maximum spindle speed and potentially some other factors. If you’re working with softer materials like Aluminum and your spindle is not capable of reaching the recommended speeds for carbide in aluminum, you might very well discover HSS endmills make more sense. 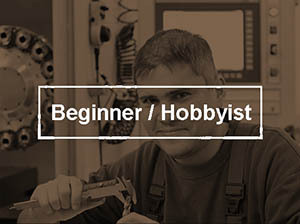 Check out our article on this to see how to figure it out. With all that said, most production work is done with carbide end mills. They are simple capable of higher material removal rates assuming you can spin them fast enough to use their full power. 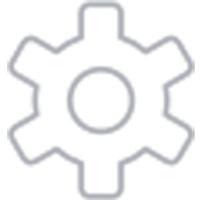 Endmills are available in a variety of standard sizes both metric and Imperial. 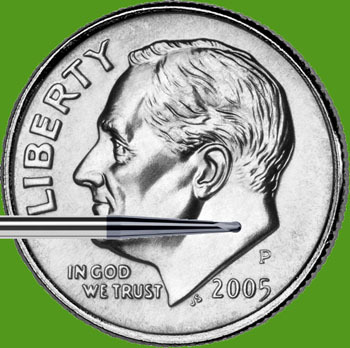 Even very tiny micro-mills can be had for machining extremely small features. Something surprising to know about endmill size is that the tolerances on diameter for most endmills are not especially precise. If your work demands precision, you may need to make a test cut with an endmill to determine what its real diameter is. You can also measure them directly, but the test cut is a more reliable method. Our G-Wizard Feeds and Speeds Calculator includes a handy “Sizes” button when you want to select your tool diameter based on the standard sizes. Flutes are what we call the individual cutting edges or “teeth” that make up the spiral on an end mill. The number of flutes the endmill has is crucial depending on the material you want to cut and the capabilities of your machine. The most common options are 2, 3, or 4 flutes. Unless you know exactly what you’re doing, you never want to use more than 3 flutes with aluminum. The reason is that aluminum produces very large chips relative to other materials. 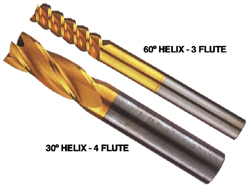 The flutes provide the path for chips to escape when the endmill is down in a hole or slot. 2 and 3 flute endmills have a lot more chip clearance so they work with aluminum. Using a 4 flute where the chips are confined at all results in jammed chips and a broken cutter in aluminum almost every time. For most other materials 4 flutes is the norm. You want to use as many flutes as you can because the flutes act sort of like a “spindle multiplier”. For a given spindle speed and chip load, a 4 flute can be fed twice as fast as a 2 flute and it will tend to give a better surface finish. The 3 flute was developed as a nice compromise between using a 2 flute or a 4 flute in aluminum. It has sufficient chip clearance for all but the most gummy aluminums, yet it can be fed about 50% faster than a 2 flute at the same spindle rpm. 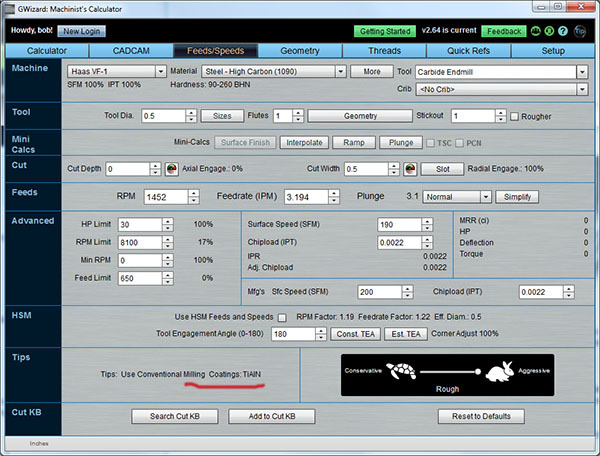 If you’re worried about remembering how many flutes to use, G-Wizard Calculator’s CADCAM Wizards will automatically select a tool with the right number. 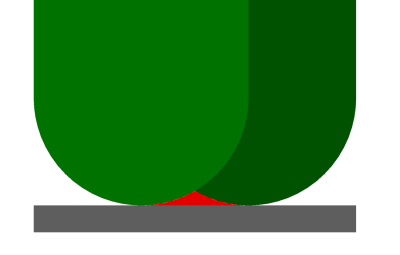 Center cutting on the left, non-center cutting on the right. Thanks for www.micro-machine-shop.com for the illustration. The only good reason to buy a non-center cutting endmill is they’re cheaper. I prefer to only have center cutting endmills around as I most often discover an endmill is not center-cutting the hard way. BTW, there is an argument to be made never to plunge endmills (well, almost never). It’s the hardest possible way to get the endmill into the material, ramping or helixing are far more gentle. Given that perspective, perhaps one should always prefer non-center cutting so as to be incented to avoid plunging. For a little more money than one single ended endmill and a lot less money than two single ended endmills you can purchase a double ended endmill. When one end is dull, you just reverse it in the toolholder and you’ve got a brand new endmill ready to go. The downside is that most endmill crashes end with a broken endmill that you may or may not be able to flip around. Still, they could be an effective way to reduce your costs if you mostly dull them without breaking too many outright. The takeaway at this stage is that while it may seem smart to buy endmills that are as long as possible because you’ll have flexibility to use them in more situations, that’s probably not the best way to go. Shorter endmills are more rigid. Save the extra long ones for times when you have no other choice. We’ll see something similar with Twist Drills as well. G-Wizard Calculator does all kinds of useful calculations around tool deflection and can help keep you out of trouble where deflection is concerned. 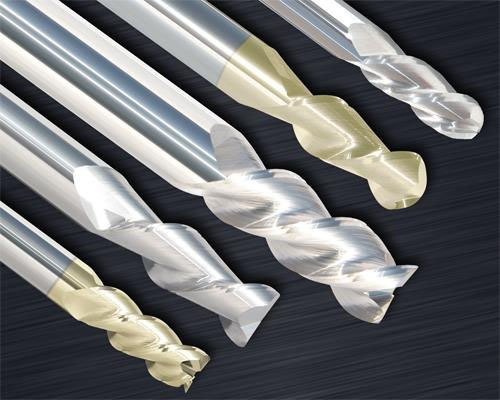 The right coating can dramatically increase the performance of an Endmill (or other cutter, such as a twist drill). There are lots of different coatings available, some of which are amazing and some of which are very exotic and expensive. The choice to use coated endmills is a cost versus benefit choice. If your machining benefits enough from the extra performance of a premium coating, by all means, purchase endmills with a coating. Just as coatings can account for big differences in performance between budget and premium endmills, so too can geometry. The simple fact of the matter is that a lot of claims are made for various geometries and the proof is in the pudding. Some things are less controversial some are very subtle. When you’re starting out, buy decent quality endmills but don’t break the bank on fancy geometries. When every increment of productivity starts to be money in the bank, test some of the premium endmills to see what works for you. 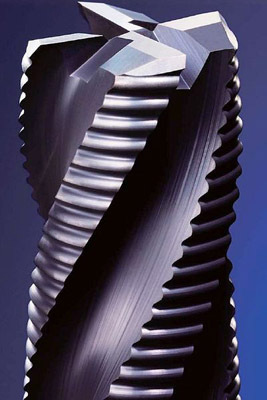 If you’re curious to learn more about what sorts of geometry tricks these endmills play, check out our post on Carbide Endmill Grades, Geometries, and Coatings. Two geometries worth exploiting fairly early on are Bullnose Endmills and High Helix Endmills. Bullnose endmills have a slight radius on their edge so they can leave a nicer surface finish and can be less prone to chipping–both great attributes. Roughing endmills like the one pictured have little serrations in the teeth. These serrations do a couple of useful things. First, they break up the chips making it easier to clear them out of the hole you’re cutting in. Second, the are less prone to chatter. All those serrations produce a variety of vibrations that interfere with one another instead of creation a single ringing (more often screeching, lol) tone. Roughing endmills are not very expensive and can provide a nice step up in productivity. I like having some around in a couple of sizes, especially sizes that are a little small for a decent indexable endmill. See our article on these useful cutters for more info and be aware that G-Wizard Calculator can figure the feeds and speeds for them too. So far we’ve talked about endmills that are largely used for what’s called “2 1/2D” machining, sometimes called “Prismatic” machining. 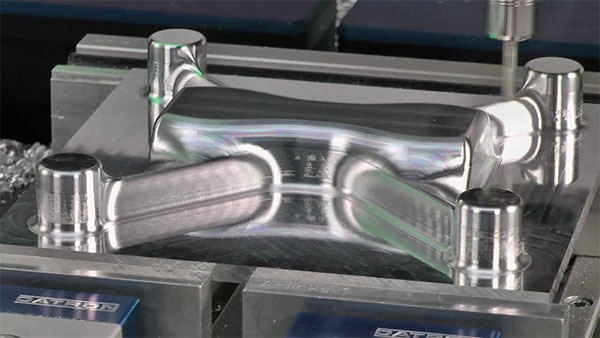 This is machining where the Z or height of the surface doesn’t change in smoothly flowing contours. It may drop down for a pocket or two, but the floors of the pockets and the top of the part are generally smooth planes punctuated by holes and more pockets. 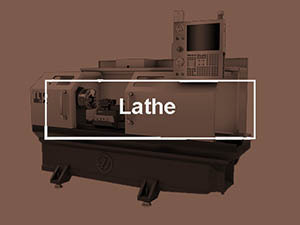 The vast majority of parts have this characteristic, but for those that don’t, you’ll be doing true “3D” machining, and to do that, you’ll want to use a Ballnosed Endmill. Who Makes the Best End Mill Brands? Having read all that, you’re probably wondering who makes the best end mills? It turns out we have a survey that might help with that. Solid Carbide End Mill Grades, Geometries, and Coatings: Learn what the fancy upgrades to premium end mills do. 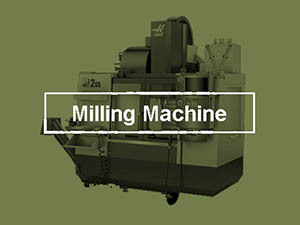 Climb Milling versus Conventional Milling: Learn what they are when each is the best technique. Clearing Welded on Aluminum from End Mills, Drill Bits, and Inserts: A handy trick! Who is Afraid of Tool Deflection? Critical info for End Mill Tool Life!